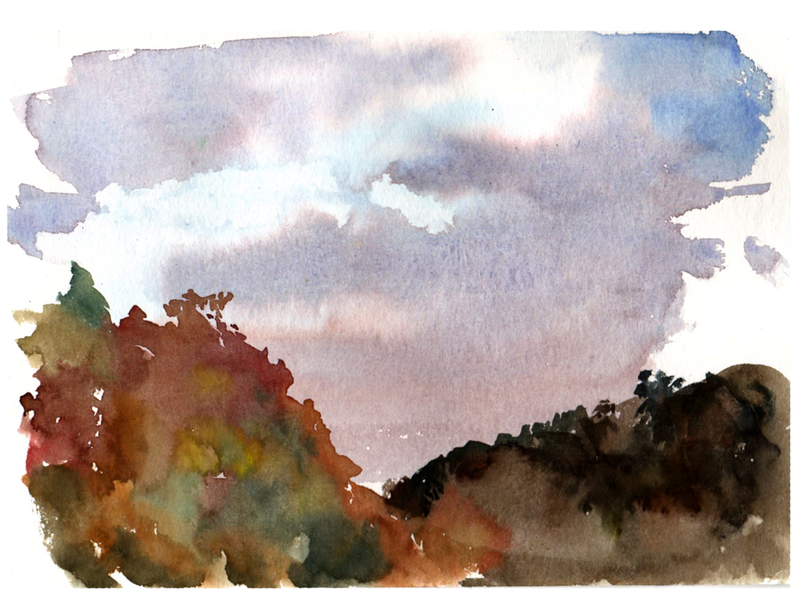 I walked in the woods next to my place on Friday, trying to catch the beautiful colors of the trees and the leafs with watercolor. That was intense cause the light dropped really quick. I also painted two moody skies seen from my balcony.